I am writing to you let you know how you’ve inspired my transformation story and prison ministry. Since I am publishing this letter on our blogsite, and I have no other way of contacting you that I can reasonably think of, I think it’s fair to let our readers know that we’ve never met, I do not know you, and the closest I have ever been to you is the eighth row of a Crosby, Stills, Nash & Young concert in the Nassau Coliseum in 2002. And I have no real understanding of your life other than articles and biographies. I feel particularly connected to Jimmy McDonough’s biography Shakey. It’s release in 2003 comforted me in the early days of my recovery – just after my bottom from prescription narcotics and just before my arrest. Most early mornings at about 3:30 am, I sit at my computer listening to one of your albums or another (this morning After the Gold Rush) and channel your essence & work ethic (or at least what I project it to be). I hear the song in my head – the muse – and I try to follow her where ever she leads. Most days, she leads to something useful or serviceable. On rare occasion, something much more. It’s all one song. Of course. That’s why I know a Neil Young song when I hear it. 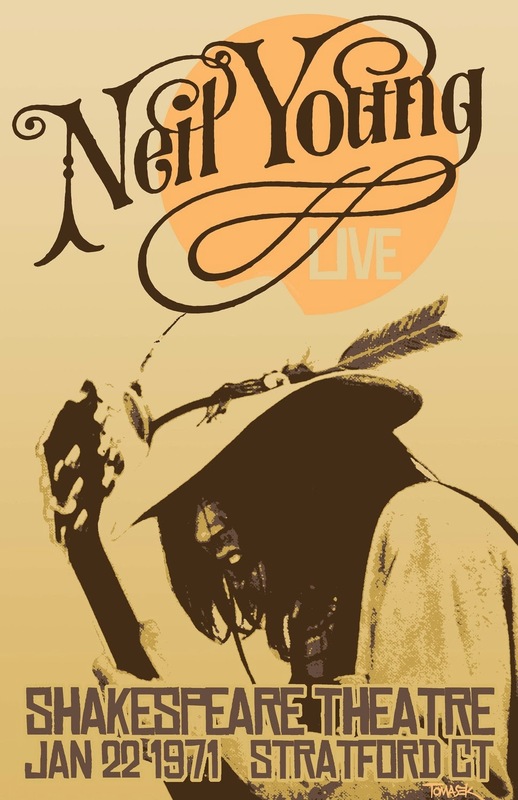 Because you write the songs that you hear in your head and are not afraid for them to be good songs or bad songs, famous songs or just plain old Neil Young songs. They are all part of the one big song playing in your head and that have been playing in your head for the past fifty years or so. That’s how I feel every morning. That there is this song in my head and it needs to be written – it needs to be sung. A song that was repressed for so many years by trauma, drugs, poor judgment, shame, guilt and remorse. A song that I now express in my writing, music, work and life. Some days it’s just a plain old song that I sing. Some days something really special happens and reminds me how I’ve been blessed. Thank you Neil. Long may you run. Hi Jeff we met at the Faith Behind Bars conference this past April. My name is Cynthia and I am an ex-offender who shares a similar story (your song if you will:) thanks for writing a great letter to an iconic man. He inspires me as well. Have a great day and I wish you blessings as you minister to the forsaken and forgotten. So glad you shared this! You inspire! Love this, Jeff. Look forward to seeing you sometime soon!